Ben, a college senior, promised God and his men maw that he'd be a Southern Baptist preacher, but he can't pray away the gay. Until stories, which he learns from his Grandpa Charlie about an interracial relationship Charlie had in the 1930s, teach Ben he has to live life by his own rules. The Wisdom of Stones is about living your truth and not allowing another person to rule you. 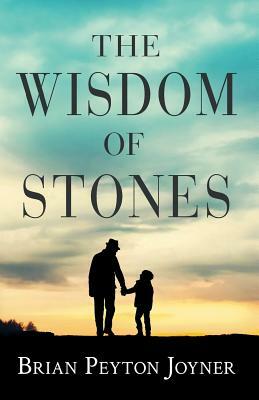 Set in Upstate South Carolina in the early 1990s, The Wisdom of Stones intertwines the stories of Ben Stark and his grandfather, Charlie Phelps. Ben's father deserted him and his mother died right before Ben's 7th birthday, so Ben was raised by his Grandpa and Mee Maw. The story opens with the funeral of Ben's mother. At the cemetery, on a cold January day, Ben finds an arrowhead in the upturned dirt beside her gravesite. He gives it to Grandpa who tells him a funny story about a baseball play.